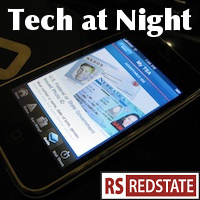 Tech at Night: 2014 to bring more Net Neutrality, more Spectrum issues, and more anarchists pushing agendas? Tech at Night: Yes, get your card replaced if you went to Target. Rogers: Snowden commited treason Tech at Night: Julius Genachowski goes into private equity. Peter King vs Rand Paul. If the whole card skimming scam keeps up, ATMs are going to be a real problem. At least, the unattended kind. In fact we’re probably already at the point where it’s getting to risky to be using ATMs at less intelligently monitored locations, like gas stations or hotels. Remember Net Neutrality? Mike Wendy rightly says it’s “Undermining Free Speech, Private Property, Free Markets and the Will of the People:. Let’s hope the FCC loses in court, again over this. Why shouldn’t the government be able to search someone trying to come into this country? Or, more specifically, Why should computers be exempt, as some argued for in court? Headline notwithstanding, it looks like the issue wasn’t actually addressed in court though. The activists challenging this got tossed out for lack of standing. Never forget that it’s actually criminals hate the NSA, along with people who hate America. Take their criticisms with a huge grain of salt. It’s funny, These “five tech issues to watch” in 2014 look like the top 5 issues I wrote about in Tech at Night in 2013. Well, the list is missing cybersecurity, to be fair.